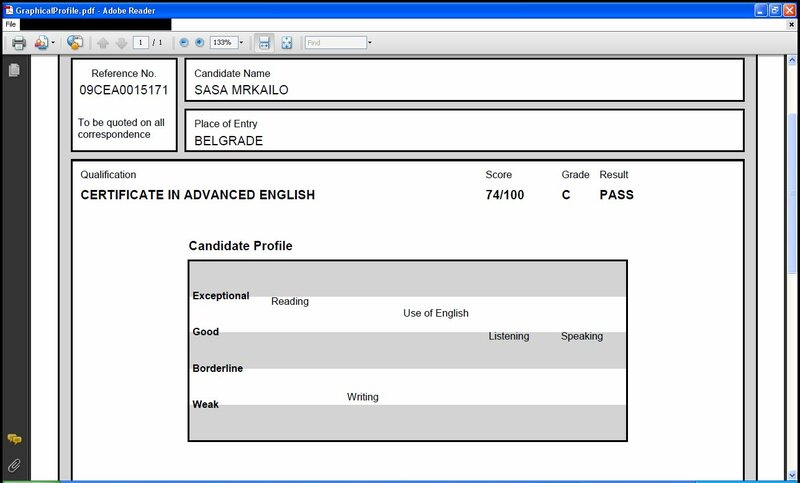 CAE (certificate in advanced English). Here are my test results. Not quite satisfied with the grade, but still I have passed the test!